We're the energy savings experts. That means being experts in your industry too. 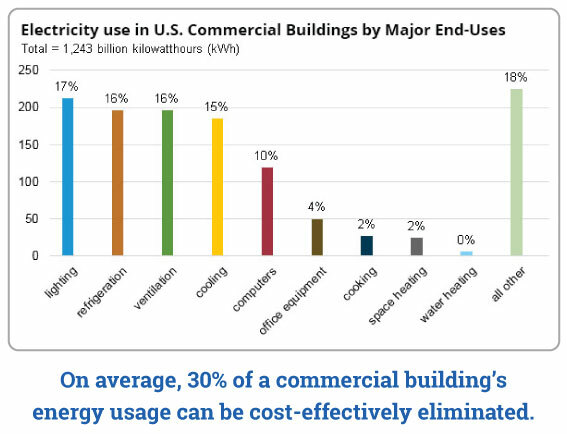 Statistics show that commercial buildings in the southeast use more energy than any other region in the US. On average, 30% of this energy is inefficiently used and can be cost effectively eliminated. At SEMCO, we specialize in working with clients to identify the major energy users within a facility, and dive deep into the details on how and when energy is used. By learning from your building, we can then design a custom set of solutions that will not only reduce energy costs, but also improve the over all work environment and improve tenant satisfaction. Connect your systems to be monitored remotely from anywhere. All available incentives should be analyzed to ensure the best ROI is achieved. Whether you’re a school, hospital, commercial office building, retail space, or other, SEMCO’s engineering team will provide your company with best in class service, with proven solutions that will deliver results for years to come. In the industrial manufacturing space, energy usage is a significant cost of doing business. If history is any sign of the future, this cost will only continue to rise. According to the US Energy Information Administration, since 2005, electricity costs have risen right at 21% across the US. With competition rising in nearly every sector, controlling energy costs today is more important than ever before. By working with SEMCO, we will systematically review your energy spend across your portfolio to determine the best savings opportunities as well as the best incentives to help cover costs and lower ROI. 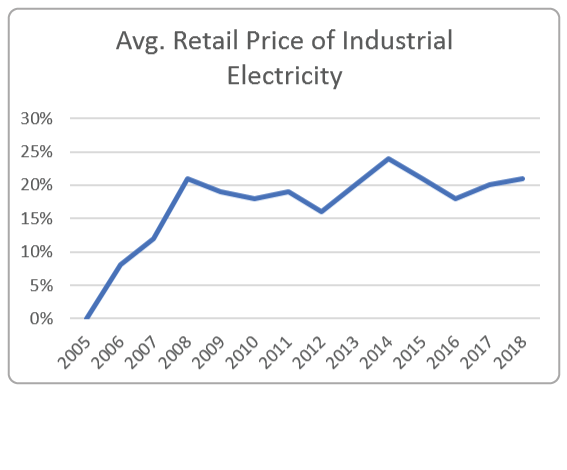 In general, most manufacturing facilities can cost effectively eliminate 10% – 20% of total energy costs across their portfolio with significant returns. We’ve helped industrial facilities across the US achieve exceptional results and we can help your company do the same.